Harris County Commissioner Rodney Ellis outlines his “Complete Streets” project at a news conference on March 13. 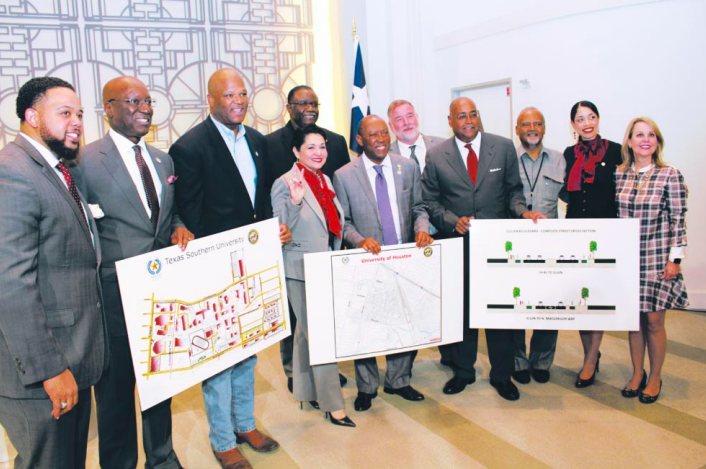 Harris County Commissioner Rodney Ellis and Houston Mayor Sylvester Turner on March 13 announced a joint agreement in which Precinct One will pay $30 million to improve seven streets in the University of Houston-Texas Southern University corridor. 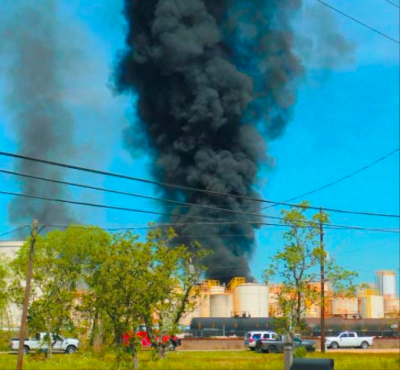 Earlier on March 13, Commissioners Court voted to negotiate with two engineering firms that will develop the scope of the work. Dubbed “Complete Streets” project, the improvements dovetail with Mayor Turner’s Complete Communities program, which involves improving Third Ward and four other neighborhoods that have been under resourced for many years. Precinct One is committing $15 million to improve infrastructure near TSU and another $15 million to projects around UH. The goal is to create streets that are attractive and a source of neighborhood pride, while improving safety and accessibility to all users, including pedestrians, bicyclists, motorists and transit riders. In addition to roadway work, the project also includes drainage improvements, which will help reduce street flooding during heavy rain. Councilman Dwight Boykins, whose District D includes Third Ward, also praised the city-county partnership. The streets in the TSU area are Cleburne (Emancipation to Scott); Blodgett (Scott to Ennis); and Attucks (Cleburne to Wheeler). The streets near UH are Cullen (Interstate 45 to North MacGregor); Wheeler (Cullen to Scott); Elgin (Scott to I-45); and Holman (Scott to Cullen). “This project will significantly enhance the gateways into these great institutions by creating a beautiful streetscape for students and residents,” Commissioner Ellis said. “The improvements also will help hundreds of Houston residents who attend classes and work at the universities”.